The aim of this project was to identify and to better understand differences in the wood of southern pine as the mix of species and sites vary. Thus enabling better planning, processing settings and product performance from the available resource. Outcomes from this work will lead to improved harvest scheduling and better understanding of the impact of taxa, site and harvest age on wood properties and product value. 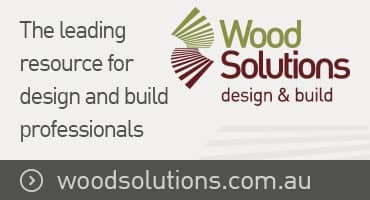 This will be achieved through the development and testing of a wood quality technology platform which includes standing tree acoustic assessments and integrated measurements of density, shrinkage and acoustic MOE from breast height cores collected across a wide range of Southern Pine sites using a customised-light-weight corer. Two phases of destructive sampling of trees are planned, a calibration sample and a validation sample, in which lower and upper stem peeler billets will be assessed and a central log will be sawn. The southern pine resource includes slash pine (Pinus elliottii var. elliottii) [PEE], Caribbean pine (P. caribaea var. hondurensis) [PCH] and a locally-developed hybrid [PEE × PCH] (hybrid pine). These pines as well as smaller areas of loblolly pine (P. taeda) have been the main taxa planted in the coastal areas of southern Queensland and subcoastal areas of northern New South Wales for the last 25 years. The sawlog and board MOE estimated by the USMOE should be further validated by destructively sampling a broad range of the plots. Southern pine growers should use the fingerprint curves obtained from USMOE measured on cores at age 17, along with LiDAR information to better manage their plantation estates to maximise sales of high value products. Processors should use the USMOE to optimise their setting to maximise recovery of high value products improving returns across the whole value chain.